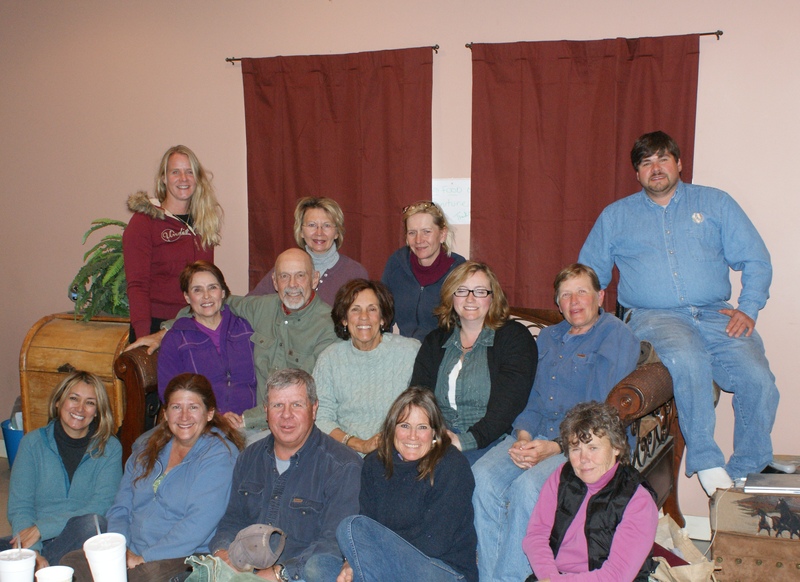 ROTH Holistic Horse Modular Course Testimonials! I am pleased to be a graduate from the ROTH Comprehensive Holistic Horsemanship Foundation program and proud of receiving the certificate. As always, it was pleasure to watch and listen to Anna. Her lectures are interesting with plenty of stories of horses, demos clear and detailed. She really has helped me to open my mind, truly listen the whisper and gentle my touch with horses. The challenge for the modular course has been scheduling time for little over 6 months. While attending the six 3 1/2 day modules, the “normal” life still goes on and demands attention. It is important to constantly keep going with the case studies, personal horse psychology project and team project for the course; otherwise the time runs out fast. There is really no time off between modules. The benefit of the modular course is definitely getting the information in digestible portions. I loved to get out after the module was finished and get on works studies with the exercises we had just learned at the class, while everything was still fresh in my mind. It was great to meet and work with different horses at HPL, Zuma’s and Joder Ranch. I started working with horses about 4 years ago, helping the “person” relax on their horse to keep themselves calm while riding. It was rewarding to see. As I stepped into the round pen in doing coaching and asking our amazing friends to facilitate healing it became obvious I needed to be more comfortable with the horses, especially when traveling and not knowing many horses’ personalities, quirks and sensitivities. I joined Anna’s Roth Modular Course to gain comfort, leadership and a more complete understanding of horse behaviour. Did I hit the jack pot, the course ran 6 mos. and it was quite a serious matter. I started my first class with my head down being overwhelmed at what I was asked to do, looking back it was simply “moving a horse”. I had not a clue. As the course continued I became more and more confident. I feel I can get with a horse, assess the situation, read her/his personality and simply ask the horse what the situation is, giving the horse equal time as their owner. The course has put the horse on equal ground as the human. Quite amazing really. Anna’s course was complete and took me deeper than I had ever planned, on most occasions I would opt out of things, and with Anna’s confidence in me, she took me beyond my comfort zone. Going beyond my comfort zone, that is what I help other’s do as a coach, yet, she has helped me find the value of really stepping out so far beyond. It transforms lives, both in my personal/professional life as well as the lives of horses I touch. Anna has questions that took me deeper within myself. One which really helped me decide how I was to take this course deeper. I believe it something like “how is this course going to help me make a difference in the horse world”. I believe I am to help horse owners understand themselves by taking steps to understand their horses as mirror and facilitator to a deeper connection and relationship. My life has already started and I have seen amazing differences with that deeper knowledge on both sides, the owner as well as their trusted horse. Thank you Anna for the in depth introduction to the world of the horse. As a professional horse trainer, I felt the need to round out my own skill set, and after diligent comparison against many other programs, I chose to attend Anna’s Foundation Holistic Horsemanship Course. Anna is unique in her field, teaching how to create a true trusting partnership with the horse through the application of sound and gentle natural horsemanship techniques, use of energy, and the Language of Equus. The Foundation Course is a “must do” for every horseman. The ROTH Modular course more than met my expectations. I started with the goal of learning some new techniques to help me be better for my horses. I left the course with a whole new perspective of horsemanship. I feel I now have a toolbox to help with many situations, whether it’s a behavioral or a relationship issue. I am looking forward to applying what I have learned, continuing the journey and bringing value to the horses. Thanks for the experience. Anna, I would never have guessed taking this course would have been like it turned out. I thank you for making or guiding me to the deepest part of my brain to “re-tool” my life. It has been a great ride from the ground. The ROTH modular class is TLC for the human and horse! This is a life altering challenge that will take you on a ride to a new understanding, appreciation and connection to that most marvelous world of Equine. Anna’s modular course was an amazing opportunity for me to start to truly learn about the horse. Through the instruction, coaching and practice, I felt I began a journey into a fantastic new world. The horses and Anna were my guides as I explored the language of Equus as well as my own capacity for “reaching out”. This is a life enhancing extended experience for both horses and humans. Anna and the ROTH team, pay close attention to the needs and personalities of the horses and the humans. Anna and Brack dedicate their intention and responses to create success for both horses and humans. It is really a rare commitment and competence to pay very close attention to the communication and behavior of both. The results are equine and human development and this creates larger fields of awareness and relationship. And so I complete the modular with a much more lively perception of our interspecies interconnections. And this helps me to be more in love with life. Anna and ROTH people give more than 100% and are authentically present, engaged and creative in teaching us to learn the language of horses, to become aware of our communications, to contribute to the best for all. On this, the last day of the modular course, which began some eight months ago I find it hard to put into words what the course has meant to me. To say it was life changing sounds trite but life changing it was and it and will be for years to come. In this course with Anna’s wisdom and compassion, Brack’s enthusiasm and support and Adam, Sonke and Elaine’s confidence in us I was able to overcome a huge obstacle of fear, learn the steps to basic, good horsemanship and feel the confidence I came here seeking. This course is by no means easy, but with dedication it is possible! I know more about myself and horses than I ever imagined I would….and the journey has been a blessing. It feels like a new beginning.